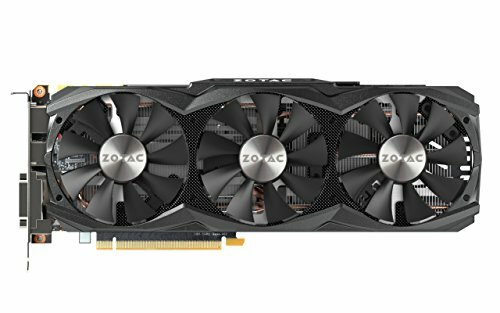 Zotac GeForce GTX 980 Ti 6 GB AMP! Mini-Who? - Mini Myte is a TekM-inspired custom loop and small form factor workstation for CPU and GPU rendering in 3D animation. It is also purposed for game development with Unreal Engine 4. Mini Might is currently 30lbs/13.6kg Despite the weight, it is portable enough for me to work on-the-go. 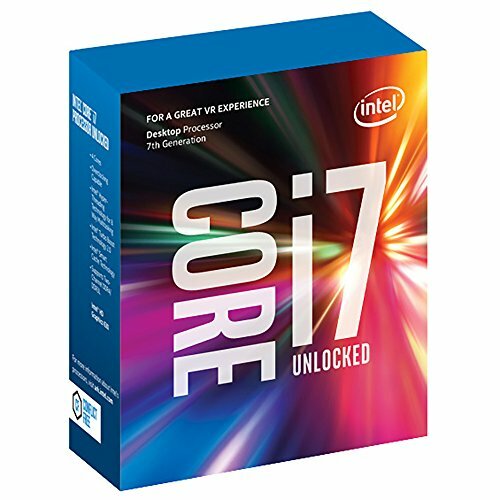 Overclocking - The Kaby Lake i7-7700K is binned @5.1GHz from Silicon Lottery and is delidded. Unfortunately I can only hit 5.0GHz with the ASRock Z270M-ITX. I use Level 2 Load Line Calibration (LLC) to counter v-droop BUT even Level 1 has a considerable v-droop. 1.408v drops to 1.36v @ LLC Level 1! Level 1 does work but it is far too risky for me to have un-monitorable spikes with voltages above 1.4v. I am not willing to check or optimize v-droop with a voltage probe with extreme LLC levels; hence, I chose Level 2. I believe this limit is due to the fact that there are significantly less power phases on the current(6) MoBo in comparison to the Asus Maximus VIII Hero(8+4+1) that SL uses. 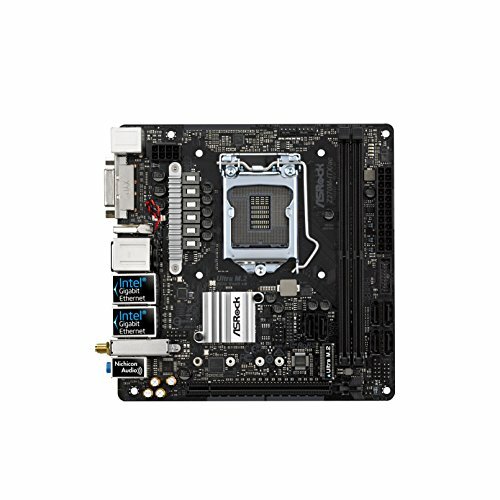 However, I will be upgrading to an ASRock Z270 Fatal1ty ITX, which is an 8 phase design. It was originally supposed to be in this build but it was DOA and is currently under RMA. Rendering - Here are a list of render engines that I use. Glorious faster rendering with custom loops! Muahahaha! Future - Mini Might's loop is fitted with quick-disconnects and will have to option to expand her loop. She will become SUB-AMBIENT! What's the point, mate? You already made a no-compromises SFF custom loop with TWO 240mm rads! Yes, I have more than sufficient cooling with max CPU temps @69C BUT...I render for many days straight, sometimes over a week. Though, temperatures below 75C are ideal for max work loads, I will be rendering @5.1GHz and above, if I am lucky. Those temperatures increase dramatically after 1.408v. I will need more cooling, and by that, I mean water chilling for my route. Ah, you see, the water chilling unit is connected externally with QDC's. The purpose of Mini Might is to have uncompromised rendering on-the-go, which it does right now (@5.0GHz) but I will have the ability to render faster and much cooler when at home. The water chilling unit is not for travel. Is that really necessary? You are talking about rendering 100-200Mhz faster at home. That is hardly a gain. Actually, I am really glad you bring this up. I had my doubts before I planned for sub-ambient but I ran my own CPU render tests with Arnold and RenderMan 21 and I had some unexpected finding. My scenes render at about 14 minutes per frame and this was at 4.8GHz. I ramped up to 5.0GHz and knocked off a whole 2 minutes! This will save me days of rendering when I am at home, despite the few hundred Mhz difference. You went through a lot of trouble to just have a Kaby 7700K with 4cores/8threads. Why did you not wait for Ryzen, especially with the 1700? It costs nearly the same. You could have had double the rendering performance! Oh believe me, I wish could have BUT I had to meet a deadline for my freelance work. Ryzen came out too late, given my circumstances. I was rendering with Kaby on air before I even went to a custom loop. Great support IO on a budget for Z270 platforms without sacrificing overclocking potential. The only concern is the dinky heat sink over the MOSFETS. WARNING: Don't touch. Nearly burned my finger xD Just be sure to have some airflow over that area, even if it is not much. 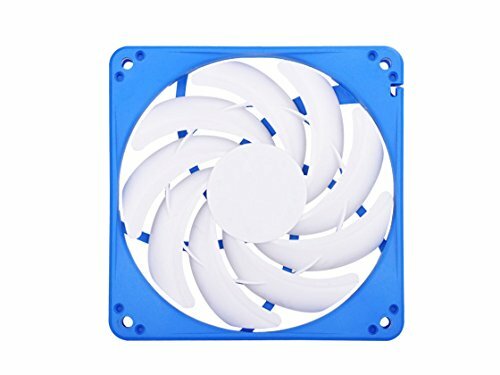 I can't believe how silent these fans are for how much air they push/pull in such a thin form. These are a FANtastic alternative to Noctua's and Gentle Typhoons as they do not offer slim forms, as of early 2017. Would you have benefited by offloading rendering to a GTX 1080/ti or 2 over the extra cash for the binned CPU? I see a lot of OC's systems with Kaby lake hitting 5 ghz. Unfortunatley, one 1080 Ti is not a big enough gain in render speeds for GPU rendering, for me. Faster renders is determined by CUDA counts. Also, overclocking GPU's almost does nothing to improve render times, at least not with my render engines. The 980 Ti has 2880 CUDA's, while the 1080 Ti has 3584 CUDA's. It would be faster, but not fast enough for me to replace it. 2x 980 Ti would cut my render times in half. 2x 1080 Ti's would render 3x faster than my single 980 Ti. It would be nice to have in my animation pipeline but I need the portability for my freelance work. I went with a binned chip to make sure I can achieve good over clocks. I had a bad chip with my 4770K. I had to delid that one myself just so that it would not throttle on stock settings. Yeah, there are many Kaby Lake's that hit 5.0GHz. It is a 70-75% chance of hitting that. Great job! If you have some time, more pictures would be appreciated. Thank you! You got it, mate. +1 but more pictures please! Yeah, it's a must for any workstations I upgrade, otherwise I would just take a the gamble if I was strictly gaming. It will cost more, fyi. You could easily fit 25mm fans on the side radiator that would improve your temps quite a bit. I really want to. The problem with the side rad is that it is too, thick. I should have bought a duplicate of the bottom rad because that one is slimmer. I'll update the page if I get chance to replace that side rad. Woah. Okay, you convinced me, haha. I do have 2 noctuas lying around, though I will try to pull this off with the fans on the outside and with the rad on the inside. I want to exhaust instead pull into case this time. The Silverstones are not terribly loud but I would prefer it to be a little quieter without compromising high air flow. You will def see your temps drop as well as the sound levels. But sadly if you want to exhaust out they have to do so pushing from the inside of the rad. 25mm fans + 39mm rad + fittings won't work all in a row but if the fans and fittings are on the same side of the rad they can fit like shown in my pic. You only have 65mm of space from the side bracket to the PSU. If you flip the rad it might work though. So if the ports are over the CPU side you'll get 85mm of space. So I got lucky. I was actually able to exhaust with fittings>rad>fans>mountbracket. Just barely though. I had to remove the extenders on the rotary fittings. Mount bracket bows at the screw points but not enough to prevent me from snapping in the panel. Thanks for the tips, mcbirds! Thanks! I got lucky with my pump/res mounting. No drilling. I just used the top 2 points through the exhaust vents. I could have drilled for the bottom points but it holds okay for now. Alternatively you can use all 4 points if you mount the pump higher. Can I ask why you chose the Silverstone fans for the side rad? - I've been waiting on Noctua to release those slim fans they've promised oh so many times, and I found the FW121 to be adequate but not stellar. I would love to somehow fit a full fat fan on the floor! Yes, so about the Silverstones. I chose them, initially, because I originally wanted to follow TekM's build guide. My build could not follow TekM's build to a Tee, as you will see. Ideally, I wanted Noctuas on the side rad because I do have them. Thankfully, mcbirds, confirmed Noctua's or regular-sized fans would fit. 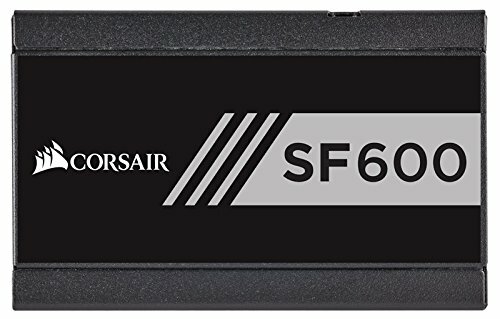 I tried it and I got lucky with my current fittings (they slightly push against my PSU but there have been no leaks so far! Yeah, I'm waiting for the slim 120mm Noctua's, too. *sigh. Indeed, the FW121's are decent for as slim as they are; however having them on the side rad was noisier than I preferred. Now, I have Noctua's on the side as pull AND I relocated those 2 Silverstone FW121's externally at the bottom rad, just now. So, essentially, I have a push/pull configuration of FW121's on my bottom rad. The nuts and bolts of the bottom rad extend further than the NCase's own pillar stands, atm! If you do all rads with just FW121's it will still be noisier than you might like; HOWEVER, if you configure with Noctua's on the side it WILL be whisper quite; EVEN if you don't add the 2 extra FW121's as an external push to the bottom rad. This configuration can sustain temps as low as 30C @ idle, quietly. All I can hear is the low whine of my pump! Right now, my fans only hits ~800RPM while rendering in 3D applications (Cinebench, Maya)! About the 120mm slim Noctuas...They are hard to develop due to the challenges in their R&D findings. One of the hurdles included the fans' structural integrity; meaning, that the blades' design had flaws in retaining it's shape over time. Despite the thin design of the blades, the hardness/flexibility of the experimental fans showed that the blades stretch out over time due to centrifugal forces "pulling" them out. This is problematic as the blades will eventually grind up against the fan edges due to centrifugal stretching. Hmm, these are good questions. Noise: I don't notice it spinning even when my system is whisper quite. You'll hear it if you are trying to listen to it. It's not an issue for me. Speed: Good. Can't complain for how much is packed into a 2.5" form factor! It's 5400RPM, so it ain't slow but it ain't fast. I personally use it for all of work files and it doesn't limit any of my project load times, but expect it to have slower load times for any games you put on it. That's just inherent of any HDD, compared to SSD, of course. However, it will be a long time before this drive lags, due to filling past 75% capacity. Size: This may be 2.5" but it is twice is thick than a normal drive of this size. Plan accordingly. I got lucky with placing it on the front panel, barely. I won't use it for installing games, I have a Seagate FireCuda Gaming SSHD 2TB 2.5" for those purposes. I just want the 5TB hard drive to save all my photos, music, etc.. So, you are saying that if I full the hard drive, it will get slower with time?. I see. Very, nice. SSHD's are amazing. Right on. You'll won't be disappointed if you are strictly using the 5TB HDD as a storage drive. High quality videos will run just fine off of it, too. Yes, all drives will become slower as more files are stored. The effects aren't noticeable until you hit 70%. I don't ever go more than 85%. got it, thanks a lot my friend. I will buy two of them. I wanted the NCASE M1 V5 but, its price is..... you know, expensive. If I decide to sell it in the future I will lose a lot of money on the resale. I bought the Fractal Design Node 202 at $79.99 + imp, I will add it under my 24" monitor, like an office, will be awesome. A powerful PC in a tiny case like the Node 202. Sadly, the NCASE is not for everyone, it means that you must keep it forever because you won't find anyone disposed to pay the same amount that you paid for it. Two?! Now, I'm drooling, haha. Indeed, it's a steep price. I will have the say that build quality is superb and cleverly designed. You won't notice unless see one face to face. Node 202 is a fantastic case for the price. My friends have built with that case and love it. It sounds like you have a fun build, soon. Yeah, I can't imagine a great resell value for the NCase M1 unless you are specifically commissioned to build with it for a client. It's a shame the case is not widely available but it nice to it take off since their KickStarter. Is this the zotac 980ti AMP! GPU? 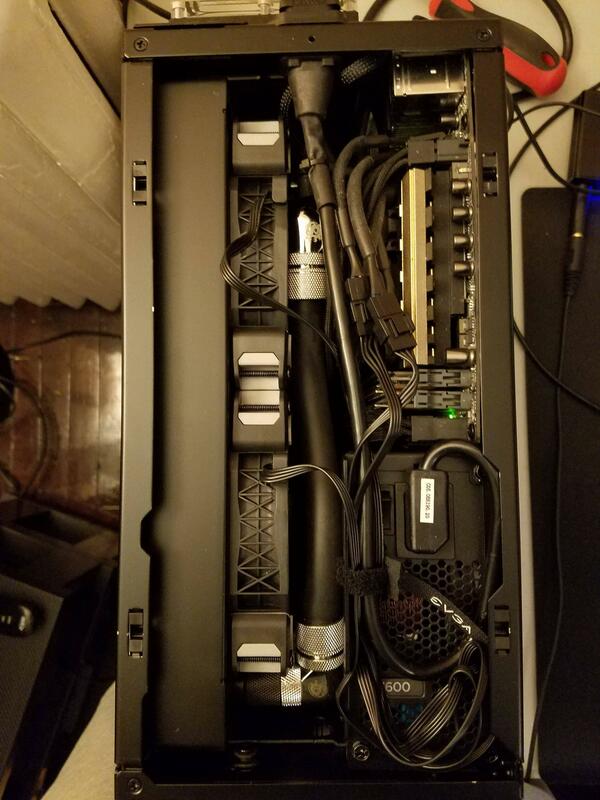 I'm looking to purchase the NCASE v5 and was wondering if you had any difficulties fitting this in the case? Image 20/21 shows my system with the air cooler before I water cooled. No worries! It's my favorite mini tower case. The frame is quite strong. Welcome to NCase M1 Club. Thank you!